Looking to overload your fly just a bit more? Hereâ€™s a stabilization exercise that overloads both the front and back of your butterfly. Here’s a quick drill we use with our age-group swimmers to teach a more stable body dolphin. Many swimmers, especially masters swimmers, find it so challenging to do dolphin kick on their back that they just give up. By combining dolphin kick and breaststroke kick, you can learn this important skill and not feel like you’re drowning or going backwards. Finding “fun” and challenging ways to keep practice intriguing for swimmers is partly what drills are all about. It’s even better when these drills tax the swimmers’ bodies so that physical conditioning also takes place. A very short clip of video showing what your swimmers should look like when sprinting butterfly with fins. We’ve posted Fast Fin Fly before, but this is reinforcement… plus just some really cool body positions in this. We decided to reshoot and repost this drill because when we originally posted it, there was no sound on the video. 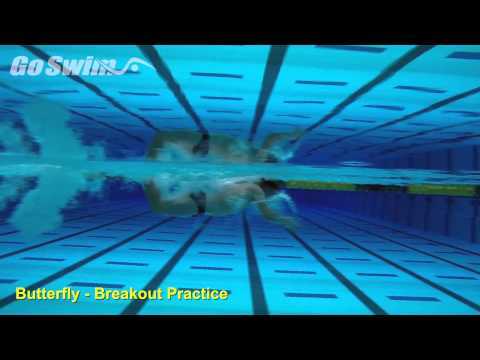 On YouTube, when people see the old version, they commonly respond that there are no flip turns in butterfly… in this drill, there are. Want to see what a beautiful butterfly pull feels like? Here’s a drill anyone can do to learn the flowing feeling of fly when it all comes together.